3D CIC 2019 Dates Announced! 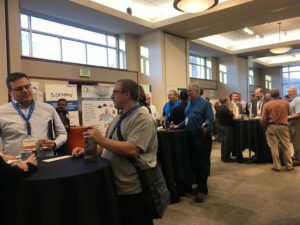 On the final day of the successful conclusion of the 2018 3D Collaboration and Interoperability Congress, Action Engineering CEO Jennifer Herron announced the date for next year’s event. 3D CIC will again be held at the popular American Mountaineering Center located in downtown Golden, Colorado – convenient to lodging, dining, craft breweries, and light rail access. With this very early announcement comes Super-Early Bird registration rates for a limited time, so don’t miss out! We are pleased to offer a discount of $100 per person to any company registering and sending 5 people or more to 3D CIC 2019. Please email Kate Hubbard for your discount code. 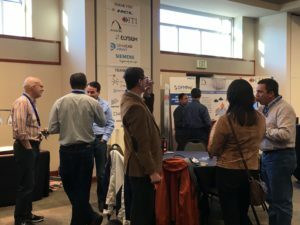 Our 2018 sponsors were terrific, bringing both their technical and financial support to this event and all attendees. Interested in being a sponsor in 2019? Reach out to us via email, and we will let you know as soon as sponsor registration is available. We expect to offer exclusive sponsor opportunities to our 2018 sponsors as an expression of our sincere appreciation for their support. Ready to register? We’re ready when you are! If you are not taken to the checkout page, please try clearing your cart.